eleQtra is InfraCo Africa’s principal developer and has been developing projects on its behalf since 2005. eleQtra has a track record of delivering greenfield infrastructure projects across sub-Saharan Africa and managing them through the full project life-cycle, from concept to commissioning and beyond. The eleQtra team has proven experience in multiple sectors, including power, transportation, water and agriculture, with particular expertise in all conventional power generation technologies and renewables, such as hydro, wind, solar and biomass. Greenfield infrastructure development is a highly entrepreneurial endeavour. Success requires tenacity, creativity and a broad set of skills including: project origination and development, engineering, investment, finance, operations, management, and legal, environmental and regulatory expertise. With experienced and dedicated professionals operating from its offices in London, New York, Accra, Kampala and Lusaka, eleQtra has the necessary skills, passion and experience to ensure that the infrastructure projects they develop are technically sound, financially bankable and operationally successful. eleQtra is proud to be accredited by Lloyd’s Register Quality Assurance Ltd for its integrity and anti-corruption compliance programme. Aldwych Africa Developments Limited (AADL) first started working with InfraCo Africa in 2014. 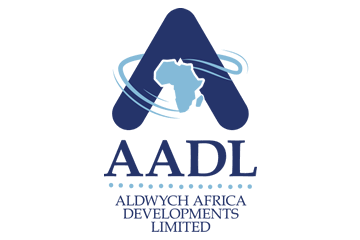 Aldwych International established AADL to deliver early-stage infrastructure projects on behalf of InfraCo Africa. With a presence in Kenya and Cote D’Ivoire, as well as headquarters in the UK, ADDL is well placed to understand the sub-Saharan market and bring expertise and local resource to power projects. AADL seeks to understand the need for electricity in a particular country and then provides the investment and expertise needed to develop the right solution. AADL’s management team have extensive experience in developing renewable and fossil fuel based technologies in sub-Saharan Africa. AADL’s projects are developed to serve a market for 20 years or more. As a result, AADL believes in ensuring its work is centred in the local community and developed with integrity, a sense of fairness and transparency. The successful development of greenfield power projects in Africa also requires experience, innovation and patience: these qualities underpin AADL’s culture and are brought by them to every project they develop, ensuring their projects serve the people they are designed for. Access Power (Access) first started working with InfraCo Africa in 2017 on the Abiba Solar project in Nigeria. Access signed a developer services agreement in 2017 to deliver early-stage infrastructure projects in partnership with and on behalf of InfraCo Africa. Headquartered in Dubai with a presence across sub-Saharan Africa, Access benefits from innovative pipeline tools and is responsive to the fast-moving regional power market. Access seeks to deliver affordable and sustainable power through its involvement across the infrastructure project value chain, from early-stage development to long-term ownership and operation of assets. Working to the highest social and environmental standards, Access’ team have extensive experience of developing renewable energy projects in sub-Saharan Africa and of developing financing models which seek to facilitate the roll-out of private sector participation in the renewable energy sector across the continent. CPCS signed a developer services agreement in 2017 to deliver early-stage infrastructure projects on behalf of InfraCo Africa. CPCS is headquartered in Ottawa, Canada with offices across Africa and globally. For this contract CPCS has partnered with Scatec Solar ASA, a global integrated independent solar power producer, and ERM, a leading provider of environmental, health, safety, risk, and social consulting services. CPCS will also leverage the experience and project pipeline of its early-stage infrastructure investment subsidiary, CPCS Ventures. This partnership enables CPCS to draw on a large pool of human resources that can be rapidly scaled up or down to maximise efficiency throughout all stages of project development. CPCS is a management consulting firm providing strategic advisory services in the transport and power infrastructure sectors. As one of the few firms that combines management, technical, financial and legal/regulatory advisory services under one roof, CPCS provides services across the infrastructure project cycle, from creating enabling environments to negotiating successful transactions. This strong combination of in-house commercial and technical expertise is what makes CPCS different and has enabled the firm to complete over 1,375 projects in more than 120 countries.